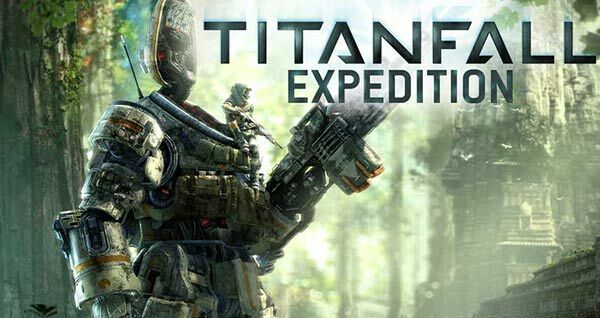 Respawn has released its first gameplay trailer for Titanfall's Expedition DLC map pack, the first of three map packs which are included in Titanfall's Season Pass announced in March. The video shows off three maps in the new DLC and offers some further details on the upcoming update. Maps including Swampland, Runoff, and Wargames are shown in the video, below. Although little time was spent explaining the context of each new map, Respawn does introduce new environments and ways for players to blast at their enemies whilst giving us a glimpse of the gameplay and design elements within these maps. Swampland takes the player to a bordering territory covered in tall but thin trees among erm… swampland. Players can benefit from launching themselves between trees and tree tops here and it provides new movement opportunities and cover during Titan to Titan combat. According to SlashGear, the map design was originally started back in 2011, but Respawn decided to hold it back from the first release as it is not for beginners to the game. The video then takes us to the Runoff map, set in an area split into three levels; upper passages, a main deck and drainage canals. 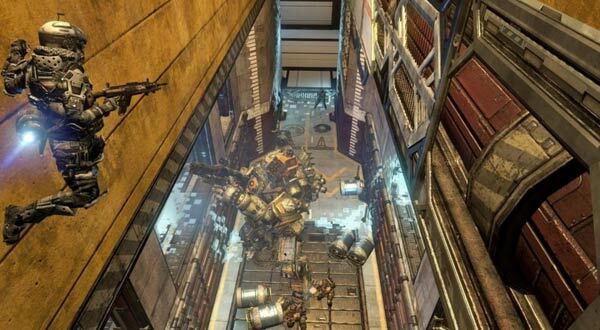 Players will experience different awareness between the spaces and levels in this industrial setting, as the game funnels Titans through tight and lengthy passageways while pilots can navigate a series of walkways above. Finally, the Wargames map is essentially a war training map which takes advantage of being virtual and unrestricted by the usual requirements of a physical battlefield. Various simulations within this map will hone the player's skills as a pilot. No further information regarding the launch of the DLC was mentioned in the trailer, but it is suspected that Expedition will release for Xbox One and PC this month and for Xbox 360 in June. The DLC will cost $10 without the Season Pass, which costs $25 to purchase. I'm not a huge fan of the game, but the DLC doesn't look half bad. What do you mean it looks less frantic Ttaskmaster? What do you mean it looks less frantic Ttaskmaster? Whenever I play, people are blazing around, bunny-hopping and dashing and everything. The gameplay is very fast and from spawn, you have an average of about 10 seconds before you're either shooting someone or being killed. This looks slow and steady, likely optimised/staged gameplay for easy viewing so you can actually see what's going on and marvel at all the detail.